PICTURED (L-R): Ben Steel, Michala Banas, Alan Fletcher, Rowena Hutson, Sally McLean and Billy Smedley. Photo by Yanni Dellaportas. And so it begins! We are very happy to finally be speaking to you via the interwebs with our very first post here at Shakespeare Republic! We are looking forward to bringing you our web series, where we get to explore Shakespeare in a myriad of different settings and circumstances, but in the meantime we’ll be sharing photos, discussion posts about various aspects of Shakespeare and tidbits from our Behind The Scenes footage. We have begun the journey into the realms of Shakespeare and that infamous language, kicking off with a photo/interview session with all of our cast, filmed and photographed by the wonderful Yanni Dellaportas and Ben Steel, which we look forward to sharing more of with you in the coming weeks. To meet the cast and get a taste of what this is all about, check out our brand new teaser! 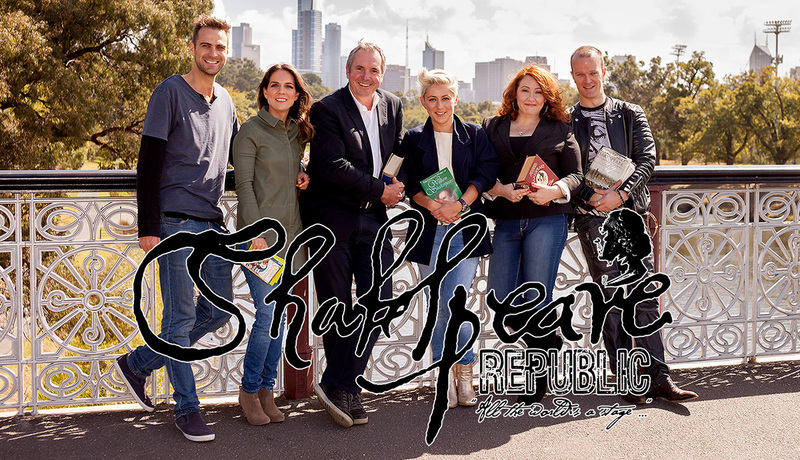 Shakespeare Republic will be directed by Sally McLean and produced by Sally McLean and Perri Cummings. Rehearsals have already begun and we are very much looking forward to bringing you our flavour of Shakespeare! For those wondering what on earth this will look like, well, you’ll just have to wait and see – but for those who are feeling a little concerned about how we are going about this, we can tell you that we are definitely using Shakespeare’s words in the work – there will be no modernizing of his language, because that would defeat the purpose, really. If you haven’t already, drop in on our About page to find out more. And check out our Photo Galleries. And check out our Shakespeare Fun Facts. Leave any comments below, as you wish and if you want to be first in line for sneak peaks and other news before we release it here, then sign up for our free newsletter. This looks amazing! Really looking forward to seeing the series. Wishing you all the best. Really looking forward to seeing this! All the best! Pingback: Incognita Enterprises Latest News » Welcome to Shakespeare Republic! Posted On 22/04/2015 in Project Updates with 4 Comments.Tagged: announcement, cast, news, web series.